For some, this may be their last chance. EDITOR’S NOTE: On January 17, President Obama announced that he was commuting the sentences of Chelsea Manning and Oscar López Rivera. 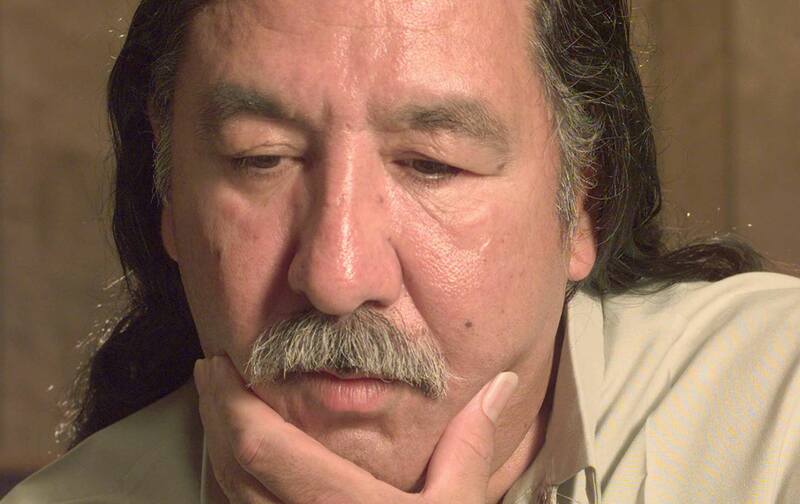 But there are many others still left behind, including Leonard Peltier and Edward Snowden. Find out how you can help them below and read more stories of people asking for clemency at CanDoClemency. Donald Trump’s election marked a sense of urgency for the thousands of inmates awaiting clemency. Shortly after, President Obama granted the greatest individual number of clemencies in a single day—to 231 prisoners, most of them serving time under draconian drug laws—in US history. In a critical development this week, NBC news reported that Chelsea Manning, the former Army intelligence analyst imprisoned for leaking information on the wars in Iraq and Afghanistan to Wikileaks, is on President Obama’s short list for possible clemency before he leaves office. The president has the power to grant clemency through sentence commutation, the reduction of penalties for a particular crime without wiping an individual’s record, or issuing a pardon, which wipes away all legal obligations of a conviction. While Obama has used commutations to lessen the sentences of victims of the so-called “war on drugs” (while still leaving thousands behind bars), he has yet to take action on some of the highest-profile prisoners, and his pardon rates remain on the lower end of the spectrum. The White House has recently issued several updates, stating that it “does not comment” on individual pardon applications and directing requests to the Pardon Attorney’s website (you can also reach them at 202-616-6070). Those wanting to contact the White House are instructed to do so via mail, e-mail, or Facebook message, as the comment phone line is closed. It’s vital that we fight for a pardon or clemency where we can. For some, it may be their very last chance. Here are some of the cases that advocates are fighting for during Obama’s final weeks and what you can do to help. Why this case matters: The Anishinabe-Lakota Native American activist was convicted of killing two FBI agents in 1975, and has denied the accusation, citing an unfair trial. His supporters include Nelson Mandela, Angela Davis, and an extensive network of Native American and tribal leaders. The prosecutor on his case, James Reynolds, even recently joined in on the call for a compassionate release. Peltier is currently being held in poor health: “If he doesn’t take action before 19 January,” attorney Cynthia K Dunne told The Guardian. “Mr Peltier will die in jail. He’s too frail and too sick to make it much longer in the prison system.” You can read more about Peltier’s case here. What you can do: In addition to putting pressure on the Pardon Attorney, organizers are urging folks to visit an Amnesty International Petition to push for his clemency and to call the Department of Justice at 202-353-1555. Why this case matters: The push for Manning’s clemency, in light of being put on the short list, is ever more critical in Obama’s final days in office. The army member was sentenced to 35 years in 2013 for leaking classified information to WikiLeaks about US foreign policy and the wars in Iraq and Afghanistan. She’s served more than six years in custody since 2010—that’s “longer than any whistle-blower who released information in the public interest to the news media in the history of the United States,” according to Manning’s ACLU staff attorney Chase Strangio. Manning has been subjected to inhumane, harsh stretches of solitary confinement at Quantico, and is facing ongoing mistreatment as a trans woman being housed in a men’s facility. She has attempted suicide several times. What you can do: Manning is asking for President Obama to commute her sentence to time served (you can read her letter to the president here). (UPDATE: Given the recent news, activists are now asking supporters to call the Department of Justice at 202-353-1555 and tweet at President Obama at @POTUS. You can see directions at Amnesty International here.) Her petition at WhiteHouse.gov has exceeded the signature requirement for a response, but the White House has not yet issued one. You contact the White House directly by using their contact form or by mail, e-mail, or Facebook message (Amnesty International has recommended messages and directions). To stay updated on her case, you can follow her at @xychelsea and visit freechelsea.com. Why this case matters: “Puerto Rico’s last political prisoner,” has spent about a third of his 35 years in prison in solitary confinement. Rivera was an Independentista, a Puerto Rican Nationalist, and member of the Armed Forces of National Liberation (FALN), an organization against the US colonization of Puerto Rico. He is currently serving 70 years for initial charges connecting him to bombings claimed by FALN without any concrete evidence, and an alleged escape attempt after his original sentence. He was offered clemency along with other members of FALN by Bill Clinton in 1999, but refused because two fellow activists would be left behind. López Rivera is often cast as the “Mandela of Puerto Rico” for his fight for Puerto Rico’s sovereignty and his supporters, who include Congressman Luis Gutiérrez, Senator Bernie Sanders, René Pérez (otherwise known as “Residente”) of Calle 13, and Archbishop Desmond Tutu, maintain that he has been unfairly sentenced and treated. “He has spent more years in jail than [Mandela] for nonviolent acts. He’s a decorated Vietnam War veteran,” his brother, José López Rivera, also an activist, said. What you can do to help: Facebook group Free Oscar López Rivera Now recently called for a flooding of the White House’s social media accounts on January 6, the date of López Rivera’s 74th birthday, and has been holding similar calls for “mass tweeting” in previous weeks. You can also make a donation, sign the “Scholars for Oscar” letter, and learn more at the National Boricua Human Rights Network. Why this case matters: One of Marcus Garvey’s sons is asking for posthumous clemency. FBI Director J. Edgar Hoover targeted the black-freedom activist in the 1920s for his political activity as a leader of the Pan-African movement. Convicted in 1923 on a charge of mail fraud, he was sentenced to five years in jail and eventually deported to Jamaica. His son Dr. Julius Garvey is leading the Justice4Garvey movement and has called for his pardon, almost 80 years after his death. What you can do: Though the White House petition was archived, a Change.com petition posted by the UNIA still needs a few thousand more signatures. Why this case matters: Snowden, a whistle-blower who shared US intelligence documents with journalists in 2013, courageously exposed a culture of mass surveillance. His is now exiled in Russia and under constant threat by the NSA and surveillance allies. “I’m willing to sacrifice [my former life] because I can’t in good conscience allow the US government to destroy privacy, Internet freedom and basic liberties for people around the world with this massive surveillance machine they’re secretly building,” Snowden said in the aftermath of the leak. What you can do: Check out this Twitter tool built by Fight for the Future and sign this Amnesty action petition, partnered with the ACLU, which started the Pardon Snowden campaign. And lastly, you can find lesser-known clemency appeals you’re passionate about, and back them. One excellent resource to consult for ongoing causes is CanDoClemency, which has compiled lists like “Top 25 Women Who Deserve Clemency From Federal Prison,” providing case details, petition locations, and status updates.